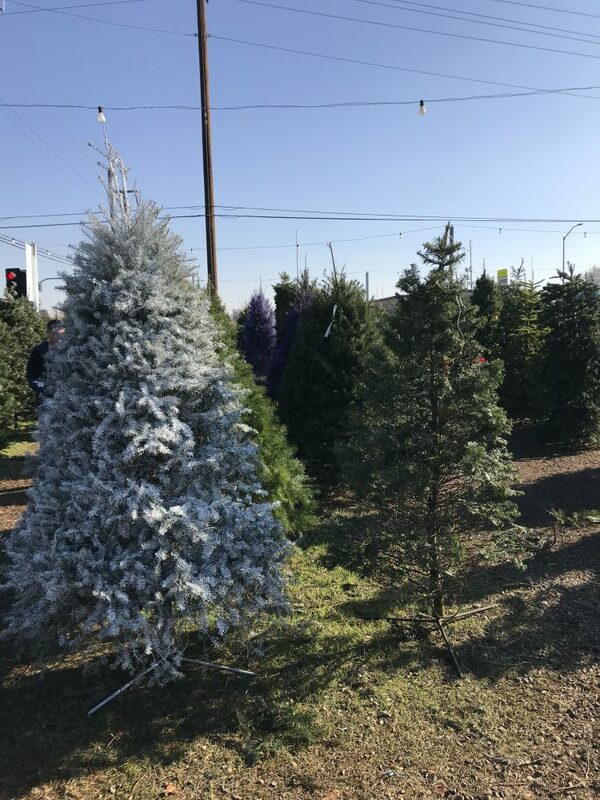 Our family has been providing the freshest, fullest, most beautiful Christmas Trees to the Sacramento Area for 33 years. We sell our trees at a competitive price from our seven retail Christmas tree lots that are located conveniently close to your home. We invite you to visit us during the upcoming Christmas Season! LOTS OPEN THE DAY AFTER THANKSGIVING! Hours at all locations is from 9 AM to 10 PM. We keep the process simple and only offer the most popular and in our opinion the most beautiful type of Christmas tree, the Noble Fir Christmas trees. This popular tree has short stiff branches, great for displaying large or heavier ornaments. 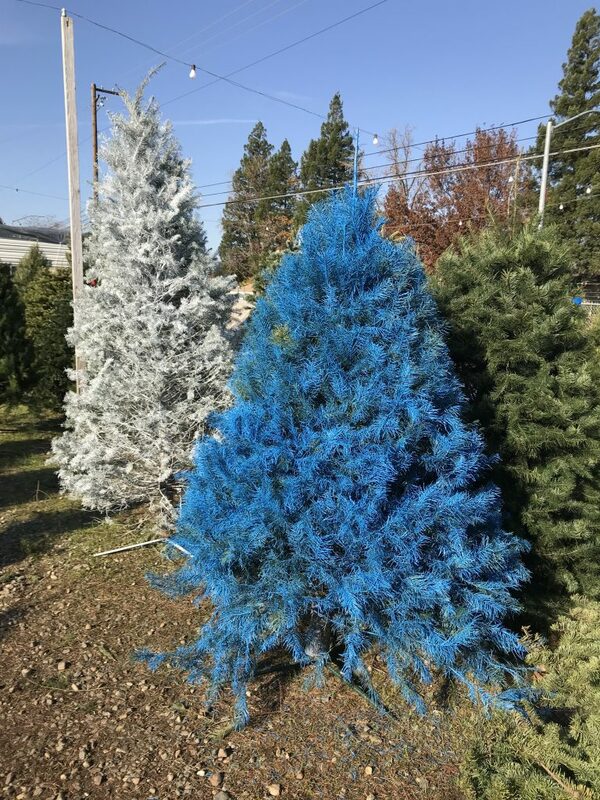 The bluish-green needles keep well and have a wonderful traditional pine fragrance. They are harvested fresh cut trees from our tree farms in Oregon and shipped directly to our Christmas tree lots in Sacramento on a daily basis. All of our trees arrive within 24 – 36 hours of being harvested at our Christmas tree farms. We offer Christmas trees for sale that are 6 ft, 7 ft, 8 ft and 9 ft in height. If your looking for small Christmas trees, we can help you cut it to make it the perfect size. Even though the price is competitive and some may even say we sell cheap Christmas trees, we take pride in growing, harvesting and selling only high quality x mas trees. We hope you will enjoy your Noble Fir Christmas tree. 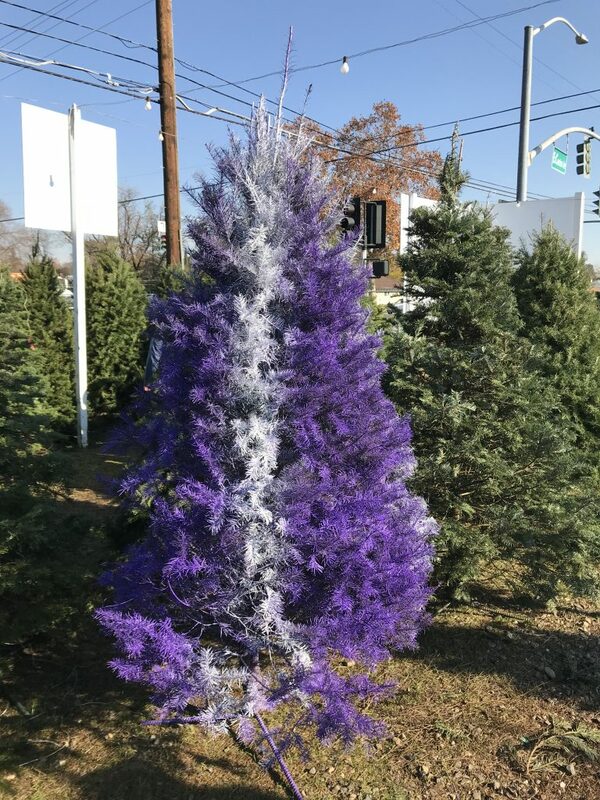 This year we have added painted trees. Check out a few photos from our lot. Mikey’s trees are grown on three family run farms in the central Oregon city of Salem. Christmas trees are a row crop that are planted for the sole purpose of helping your family celebrate Christmas. Contrary to what many people think, Christmas tress are not harvested from the forest. Christmas Trees grow about one foot per year. The process of growing a tree to maturity is very time and labor intensive. Each tree is sheared (aka “given a haircut”) once a year. This gives the tree it’s traditional Christmas tree look. For the Noble Fir the top must be “worked” every year. This requires a 2′ piece of bamboo to be tied into the top of the tree in order to ensure a straight top to place your angel. Helicopters are used every spring to fertilize and spray the trees for bugs and weeds. Harvesting the trees begins in November in order to get ready for the tree season. This process begins with individually hand tagging the trees to be cut, then cutting the trees, followed by shaking them to free loose needles. The cut trees are gathered into large bails and are then picked up by helicopters and removed from the field to a landing area from which they will be loaded onto trucks and shipped directly to their final destination.